Set on a remote island in Finland, six year-old Sophia and her grandmother while away the summer months together, and gradually a fierce yet understated love emerges between the two – one that encompasses not just their relationship but the island itself, with its mossy rocks, windswept firs and unpredictable seas. This year is the centenary of the birth of Tove Jansson, much-loved creator of the Moomins, and this unique story captures much of the writer’s own experience. Anyone who has ever known a grandparent or a grandchild will recognise the truths in this extraordinary description of life and love and the struggle we all face, whatever our age, to understand them. This is a perfect summer show for grandchildren, grandparents and everyone in between. Click here to find out more about our access programme. 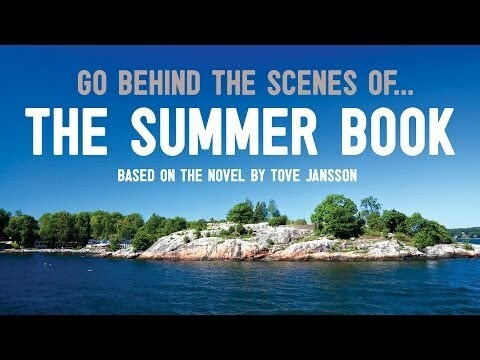 Listen to the audio introduction to The Summer Book. Our free post-show Insights offer audience members the opportunity to ask questions in response to the show during an informal Q&A session with the actors and creative team. These will take place after the 2.30pm performance on Sat 21 Jun. A film installation will take place in the Unicorn foyer during the run of The Summer Book. Stories We Tell Ourselves is a playful interpretation of the familiar stories we know and love with some unexpected twists, exploring the creation of identity through the stories we tell our children. Celebrating the 100th year of Tove Jansson 2014, see tove100.com to find out more. Produced by special arrangement with Agency North Ltd. The Finnish artist and writer, who died aged 86 in 2001, 'responded to the world with a freshness and originality that have hardly ever been matched in the field of children's books'. Read the full article. It is a charming, deceptively simple story that charts the relationship between a young girl called Sophia and her grandmother over a series of long summers on a remote Finnish island. For several days, their island and my island merged and I momentarily lost my bearings.